Vow Properties is one of Chennai ’s fastest growing property development companies offering strategically located and meticulously planned townships and has positioned itself as a company selling affordable real estate with huge and immediate potential for appreciation. Vow Properties offers CMDA approved Plots | Lifestyle Apartments | Luxury Villas | Integrated Townships. With a passion to address the growing needs of its customers. In Chennai alone, Vow Properties has a more number of satisfied clients. 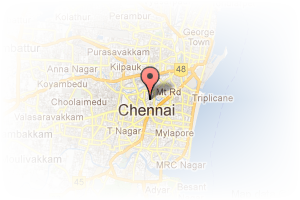 Address: vevekanadha st, Block 5,Mogappair West, Chennai, Mogappair West, Chennai, Tamil Nadu, India. This Builder Profile page for "Vow Properties" has been created by PropertyWala.com. 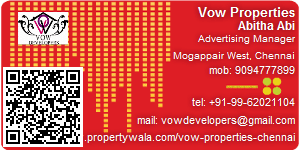 "Vow Properties" is not endorsed by or affiliated with PropertyWala.com. For questions regarding Builder Profiles on PropertyWala.com please contact us.